I️ came across the above diagrams when reading Jinny S. Ditzler’s book, Your Best Year Yet. 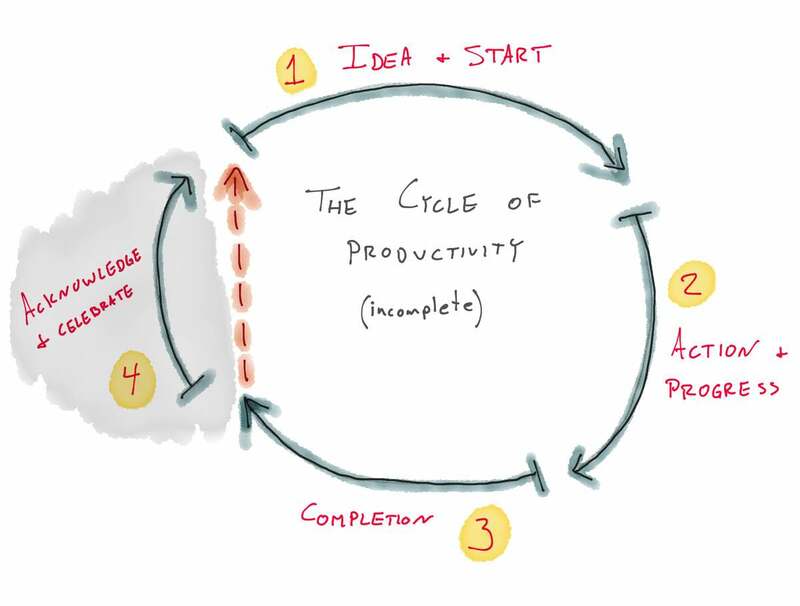 I️ love the visuals they give — and not to mention the irony that, if you feel as though you’re on the hampsterwheel, then maybe you actually need to stop shortcutting the productivity cycle by skipping one or more of the segments. By far, the most important lesson of the Cycle of Productivity comes in segment four. Too many of us simply go straight from the end of the third segment back to the starting line without taking a pause for acknowledgment, pats on the back, thinking about what happened, or learning from it. Our eye is always on what’s next or what isn’t yet completed, and before long we feel as if we’re running on fumes — below the empty mark! We don’t feel like we’re getting anywhere and we experience little satisfaction. This is exactly what Teresa Amabile teaches in her book, The Progress Principle. When we want to be super productive, we often think that speed and efficiency are what matter most. But when we shortcut ourselves, it actually slows us down in the long run. We are less productive when we don’t take time to rest and recharge and when we don’t acknowlede and celebrate our wins. A few days ago I️ wrote about how 2017 has been a very successful year for me personally and for my work and business. As I️ said in that article, having a successful year is most certainly the result of many moving parts and lessons learned over the years. But if I had to boil it down to what one thing had the most impact, it was, without a doubt, our 8-week work cycles. The emphasis of this 8-week work cycle is usually on the 6 weeks of focused work time. We pick one or two projects that we believe will have the most impact and that can be completed within 6 weeks. But something else that has proven to be so beneficial is that every single work cycle we take time to review what we did, recognize the progress we made, and celebrate it. It has taken me almost this entire year to embrace our buffer week and sabbatical week — I️ usually want to get right to the next thing and not take time to pause and reflect. 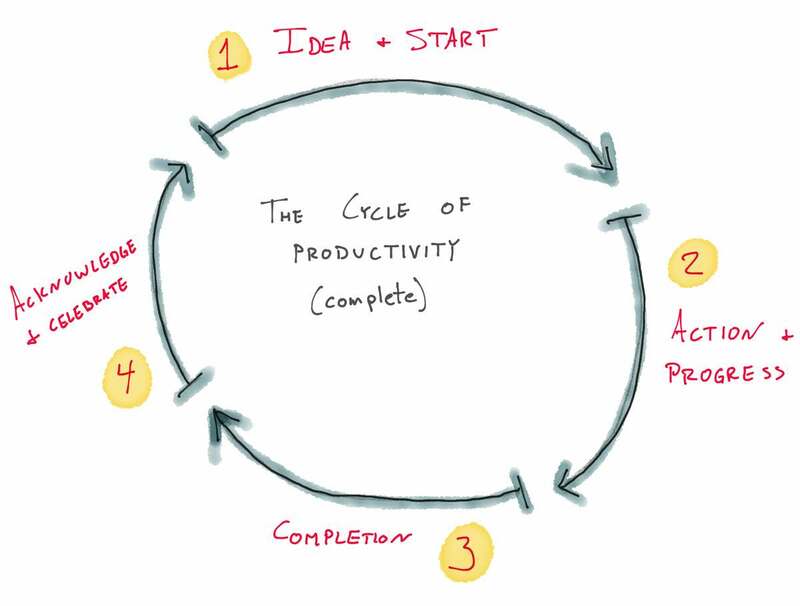 But skipping those last two weeks of the cycle are akin to working within an incomplete productivity model.